Becoming the first Danish team in six years to reach the quarter-final of the VELUX EHF Champions League was just one of the highlights of Skjern Håndbold’s extremely successful 2017/18 season. They also won the Danish championship for the first time since their maiden top flight title in 1998/99. The taste of success has left the club from the far west of Denmark hungry for more. But they will never lose their modesty, which is so typical for people from the Jutland peninsula. - Can they repeat their run to the quarter-final from last season? Having been promoted from Groups C/D to A/B may not necessarily be an advantage to Skjern, which will likely have to finish fifth or better in Group B to have a fair chance in the Last 16. Another upset like last season, when they sent mighty Veszprém out, is probably too much to expect from this village team. The coach is well aware of the importance of his team having qualified for the Champions League once again. “For Skjern Handball as a club it is important to join the European Cups, and being a part of the VELUX EHF Champions League family is a privilege. It attracts players, sponsors, and makes our municipality proud,” Nørgaard says. - Does the team appear stronger or weaker than last season? Despite the departure of top scorer Markus Olsson, the team appear a bit stronger with a deeper squad. In goal, experienced Bjørgvin Pal Gustavsson of Iceland is supplementing one of Denmark´s greatest goalkeeping talents, Emil Nielsen. Also, Thomas Mogensen, joining from German champions SG Flensburg-Handewitt, adds further experience to an already experienced team. Finally, talented Sebastian Augustinussen from Kolding looks like the perfect replacement to René Rasmussen on the right wing. - How will they cope with the loss of Markus Olsson? 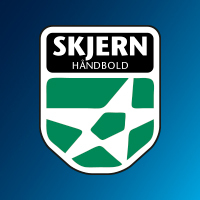 Last season’s top scorer will be missed, and Skjern’s success depends for a great part on how the gap will be filled which has been left by the well-shooting Swede. The main replacements will be Slovenian international Jan Grebenc, who has joined from Gorenje Velenje, and Swedish player Jonathan Stenbäcken. Also, Thomas Mogensen, who is mainly seen in the role as playmaker, is also an option on the left back position in attack. Expectations are high in Skjern as well as in Danish handball in general ahead of the 35-year-old player’s return to the domestic league. With a recently added German Bundesliga title on his CV, the former playmaker from the Danish national team has so far shown no signs of being in the autumn of his career. Even just Mogensen’s enormous amount of experience should be of huge value to his new team. Skjern have proven last season what they can achieve against some of Europe’s best teams. Still, their first goal for the new season is to reach the knockout phase once again. With just under 8,000 inhabitants, Skjern again is by far the smallest town being represented in the VELUX EHF Champions League. If the team reaches the VELUX EHF FINAL4 and every single inhabitant is coming to see them play in Cologne, they would fill not even half of the LANXESS arena. Christensen and René Rasmussen, who are still playing for Skjern. Newcomers: Sebastian Augustinussen (KIF Kolding København), Benjamin Jakobsen (Bjerringbro-Silkeborg), Bjørgvin Pal Gustavsson (Haukar), Jan Grebenc (Rk Gorenje Velenje), Thomas Mogensen (SG Flensburg-Handewitt). Left the club: Markus Olsson (Fenix Toulouse), Mads Houmøller (IFK Ystad), Cornelius Krag (Skanderborg Håndbold), Tibor Ivanisevic (HSG Wetzlar).